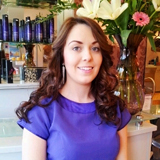 Hi I am April, Salon Owner and Manager. I founded the business together with Adam in 1989. Back then I wasn’t a hairdresser but was the salon receptionist/ Admin Clerk and involved in running the business. But I soon fell in love with hairdressing and started training as a stylist. Adam left the business in 1995 and moved to London, I then became the sole owner. It’s been a lot of hard work to get the salon where it is today but I’ve never looked back and still enjoy it even after all these years. Being able to make a difference to someone’s look and even sometimes their confidence is the best feeling ever and that is what makes me love the job even more. We are all constantly updating our skills by attending regular training courses and love to keep up with the latest trends. I am the Receptionist/Admin Clerk and Salon Assistant. I’ve been working at Adam Lee since October 2008 and loved every minute. It has such a friendly and relaxed atmosphere, which is great for all the team and our clients. 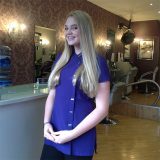 You will see me as the first point of contact – meeting and greeting clients, and at the reception desk making appointments and answering the telephone, also generally helping April and the girls around the salon. I also work behind the scenes doing all the admin side of the business. I am always happy and only pleased to help. I am a part time Senior Stylist at Adam Lee. 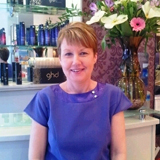 I started my hairdressing career in 2006 and joined Adam lee in 2007. Since then my hairdressing skills have gone from strength to strength. Hairdressing isn’t just my job, it’s my passion and I love all aspects of hairdressing, cutting, colouring and styling. But I really love to create beautiful, glamorous hair for weddings and special occasions, such as parties and proms. I have a real talent for styling hair up. 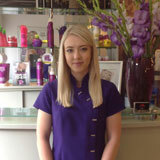 I am a full time Senior Hair Stylist and Beauty Therapist at Adam Lee. I started my hairdressing and beauty career and joined Adam Lee in 2009, qualifying in May 2011. I pride myself on perfection, paying real attention to detail and offering hair style and colour advice to bring out the best in you. I also offer facial and body waxing, eyelash and eyebrow tinting, manicures, pedicures and make up application. 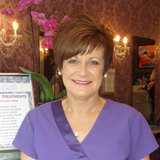 Ensuring that every client that visits me leaves the salon feeling happy, relaxed and completely satisfied. I am a part time salon assistant at Adam Lee. I have been working at the salon since August 2016 and I have thoroughly enjoyed working with talented stylists in such a lovely friendly atmosphere. I work on Thursday evenings and Saturdays all day.You will see me at the desk greeting clients and making sure they feel welcome , also assisting the stylist and shampooing clients hair. I am currently at sixth form taking a-levels in Maths,English Literature,Geography and Textiles. I have always had an interest in hairdressing and so I was very happy to be given this opportunity. I am always happy to help and hope to see you soon.